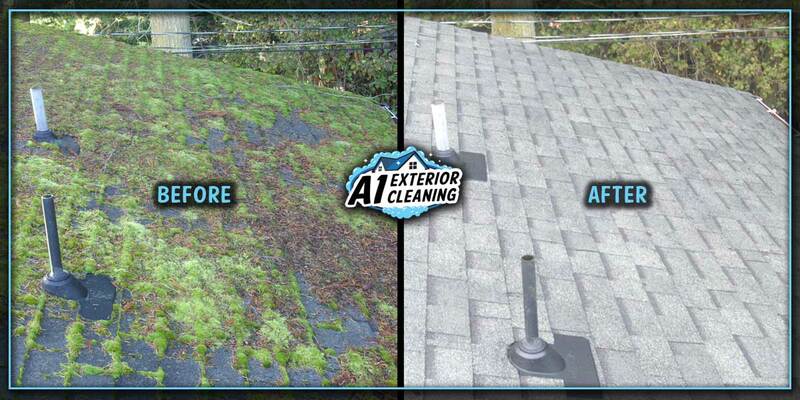 Once moss is established on your roof, it’s not a matter of if, but a matter of when will the leaks and problems begin. Moss will void a roofs’ warranty and with the average price of a new roof today costing between $10k-14k+… who needs those additional costs? 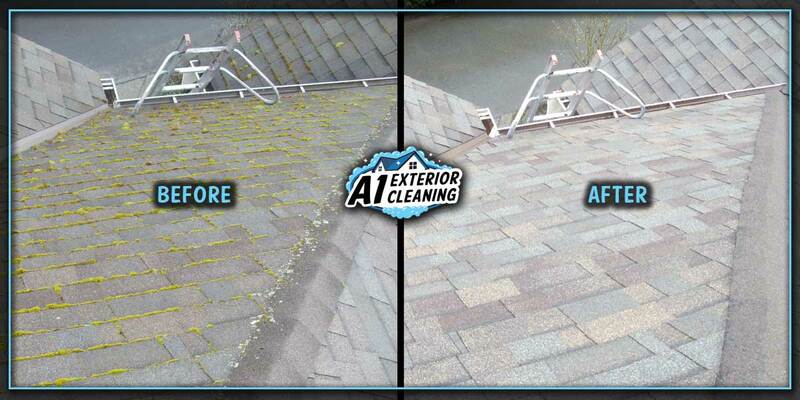 Moss removal avoids this hassle and saves money by extending the life of your roof at a fractional cost of re-roofing. Combine that with our eco-friendly moss treatment to prevent regrowth for years of moss-free peace of mind. • Can extend the lifespan of your roof by 8 to 10 years. 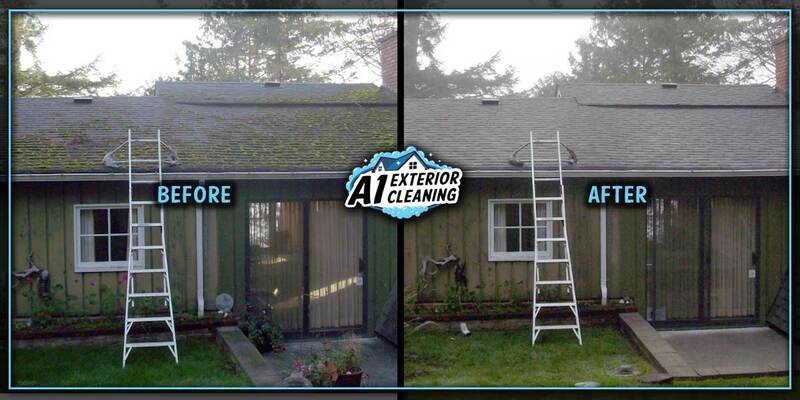 • Avoids costly repairs/replacement due to moss damage. 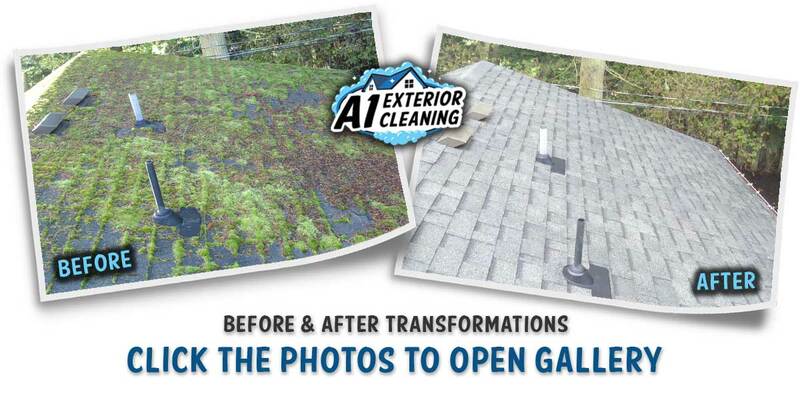 • Renews the beauty of your roof (Increased curb appeal). • Preserves the protective granule finish of your shingles. • Validates home insurance policies and roof warranties. 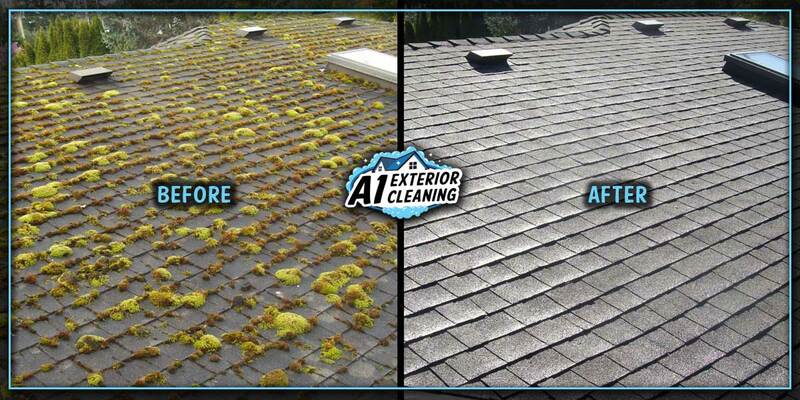 • Prevents gutters from clogging due to shedded moss. 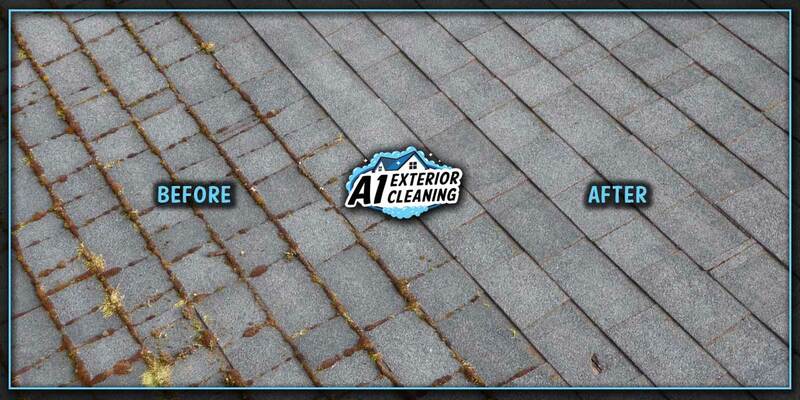 • Protects shingles from excess moisture and rot. • Avoids potential water leaks around vents and skylights. We use plant-derived, environmentally responsible products. 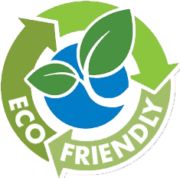 At A1 Exterior Cleaning we believe in reducing our carbon footprint as much as possible. That is why we only use environmentally friendly and biodegradable cleaners that are safe for people, pets and plants. Our demoss treatment is a citrus based roof detergent with hydrogen peroxide as the active agent. It will not stain, bleach or damage surfaces, but its powerful formula eliminates pesky moss and algae while also inhibiting future growth. 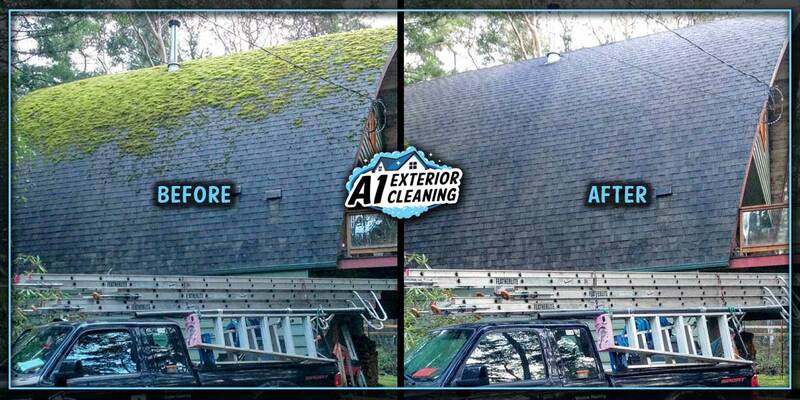 When cleaning the moss off of a roof we gently remove it using hand tools and a leaf blower, which is far less abrasive than using a power washer. 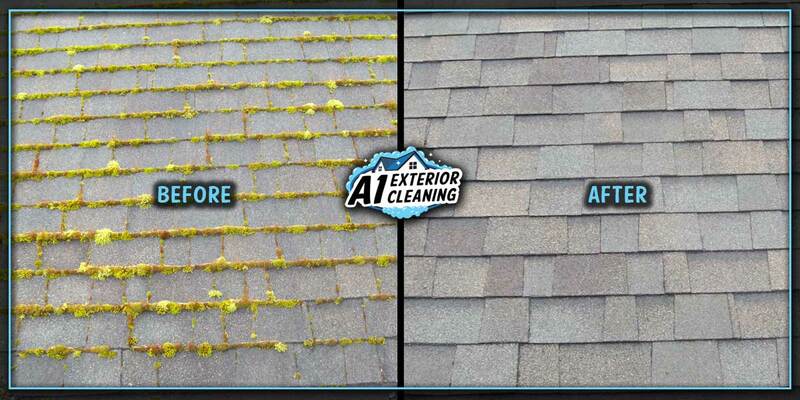 We then clean out the gutters, clean up the yard and spray your roof with a moss treatment to kill off the remaining moss roots & spores. The end result is what looks like a new roof again, as well as added longevity to the life of your roof. No, the products that we use are non-toxic and bio degradable. They will not stain anything or harm your pets and gardens. 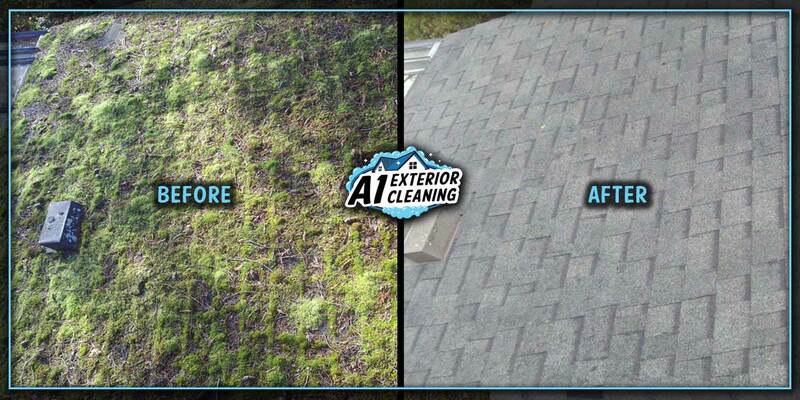 Roof moss removal is recommended once and then after that the moss can be kept away by re-spraying it with a moss treatment every 2 to 5 years, depending on the proximity of trees and the amount of sun that your roof receives.